1. Use a brush for moisturizer: Kylie Jenner loves doing makeup and one of the things she loves doing is applying the moisturizer with a brush. You can use a stippling brush or a flat kabuki brush, but make sure you use a brush! She says that it distributes the product well and goes on evenly on the skin. I did follow this step and I kind of like it! So, the next time you are sitting down to do your makeup, use a brush to apply the moisturizer. Also, a small tip from her makeup artist – even if you have moisturized your face in the morning and you are about to apply makeup during the evening, reapply the moisturizer to hydrate the skin. 3. Always use a lip liner before lipsticks: Whether you are applying a liquid lipstick or a regular one, always line and fill in the lips with a neutral shade of lip liner. 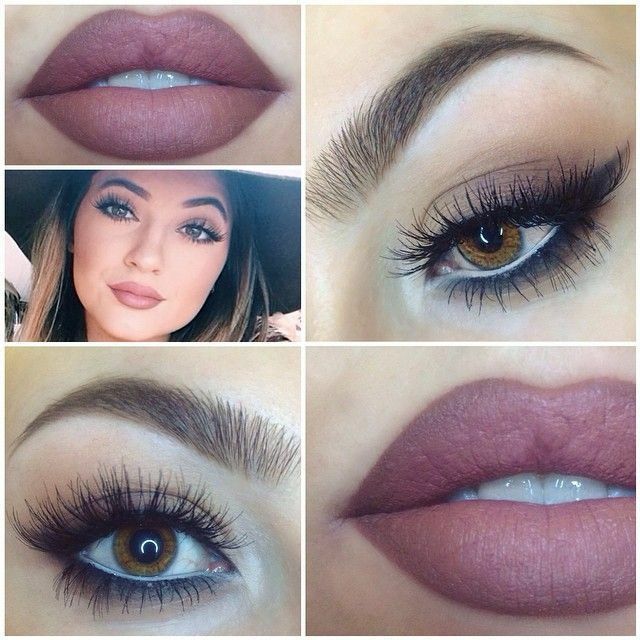 This will make the colour stay on longer and you can correctly fill in your lips with the colour. 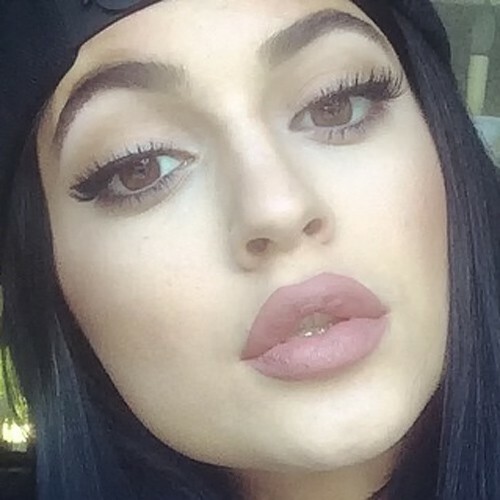 Also, Kylie often exfoliates her lips before applying any liquid lipstick so that her lips look flawless. 4. Apply the illuminator before foundation: If you want a natural strobing effect or a more pronounced one, then always use a liquid illuminator on the areas you want to highlight before applying your foundation. This will blend in well and the illuminator will stay on forever. Plus, don’t we all love how glowing and flawless Kylie’s skin look? Well, her makeup artist says that this step will give the illusion that your skin is glowing from the within. 5. Use an orange blush as a base for the other blush: This one is quite an interesting makeup hack that I have learnt from Kylie’s makeup artist. She always uses a light hand of orange matte blush before applying any pink blush to make the colour pop. If you want to amplify the pink blush, then try this trick. 6. Do not apply foundation below the eyes: If you want to avoid a cake-y face or prevent your concealer from creasing, then don’t apply foundation below your eyes. Make sure concealer and loose powder is the only thing that is covering the areas below your eyes. 7. Use makeup foundation to contour: Kylie’s makeup artist uses a stick foundation that’s a few shades darker than her natural skin tone to contour. She says that this blends well and also gives good coverage. 8. Self-tan your face in seconds: If you want that natural tanned look, then blend out your cream contour with a brush which has been dipped in bronzer. Make sure you keep it natural and don’t go overboard with the bronzer.